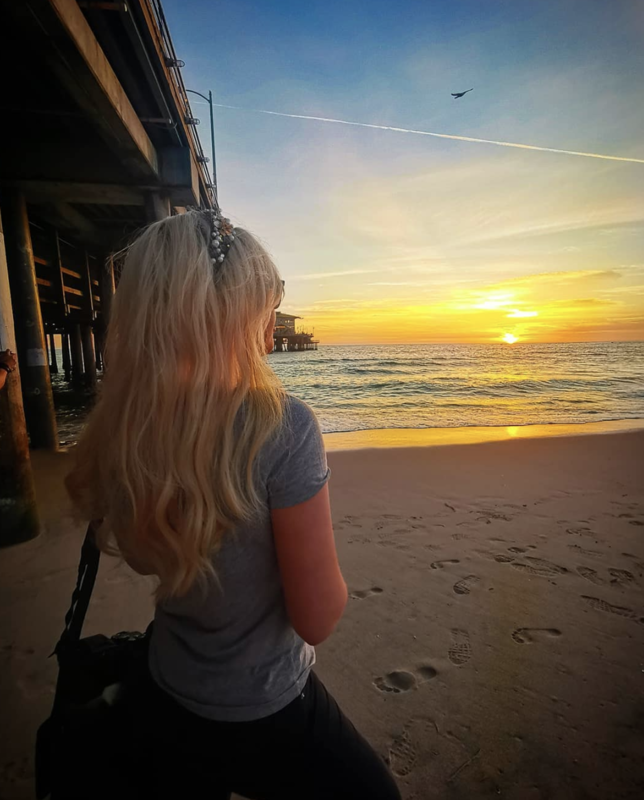 With Coachella in full swing this weekend, there’s lots of festival goers stopping in LA so I’ve put together some of my favourite things to do. 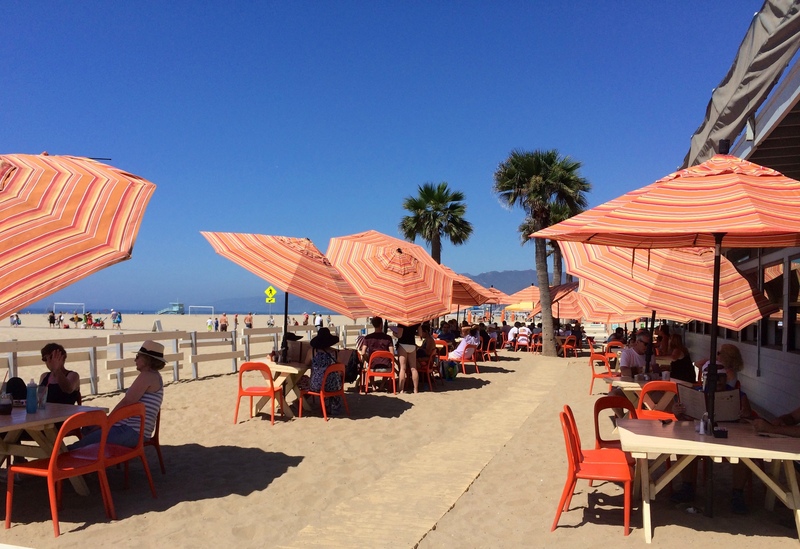 My first stop is Santa Monica, a must-visit if you’re doing a trip to Los Angeles. 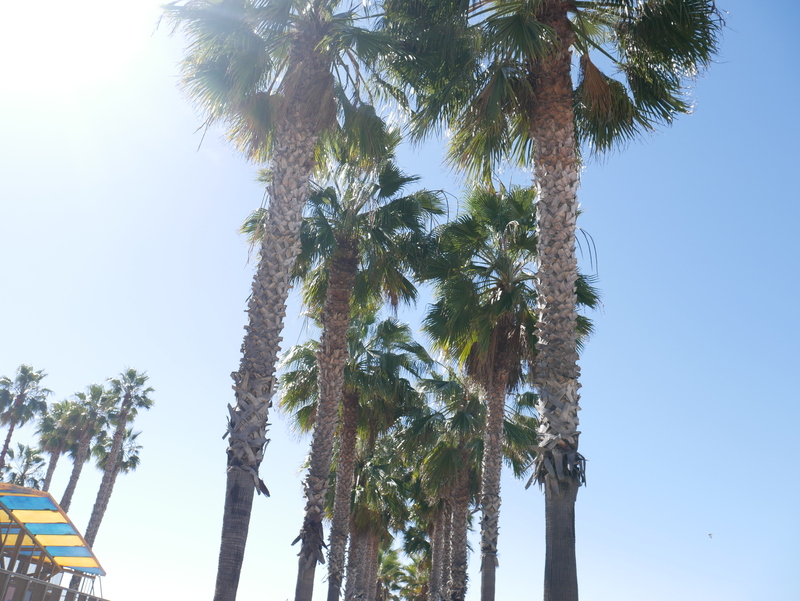 Picture palm trees, bottomless brunches, beach days and rollercoaster rides. 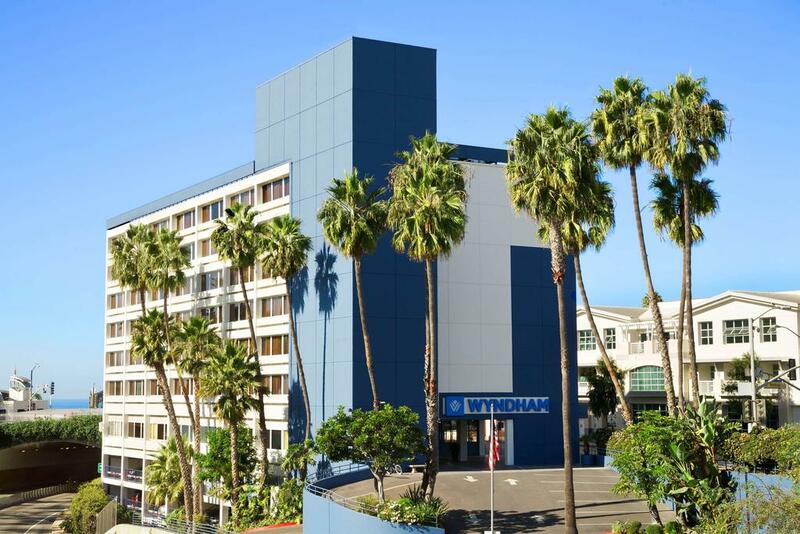 I’ve visited Santa Monica before but had never stayed, and I can’t recommend the Wyndham Hotel for your visit. Firstly it’s positioned right in front of Santa Monica pier, so you are literally a 60-second walk away from the boardwalk. The hotel itself has stunning rooms overlooking the streets filled with twinkling lights and of course the beach. They have a bar downstairs and also a large lounge area which is perfect if you need to do some work or have meetings. See more about the Wyndham right HERE. If you’re going to go to Santa Monica you have to spend at least one full day at the pier. There are so many fun things to do here, from riding the rollercoaster, to playing in the arcade. There’s also multiple eateries and souvenir shops – plus this is a perfect place for an Instagram photo. Make sure in the middle of all your planning that you take time to chill out at the beach. You can lie in the sun and do nothing or you can get your daily exercise in, you can work out on monkey bars, walk on tight ropes or have a spin on the swing sets. Plus there are so many gorgeous places to eat along the beach front, personally, I loved Back On The Beach cafe. You have twinkle lights above you, sand beneath you and a perfect menu of hot dogs, sandwiches, burgers and salads too. If you’re looking for the perfect bottomless brunch then I would recommend Margo’s. 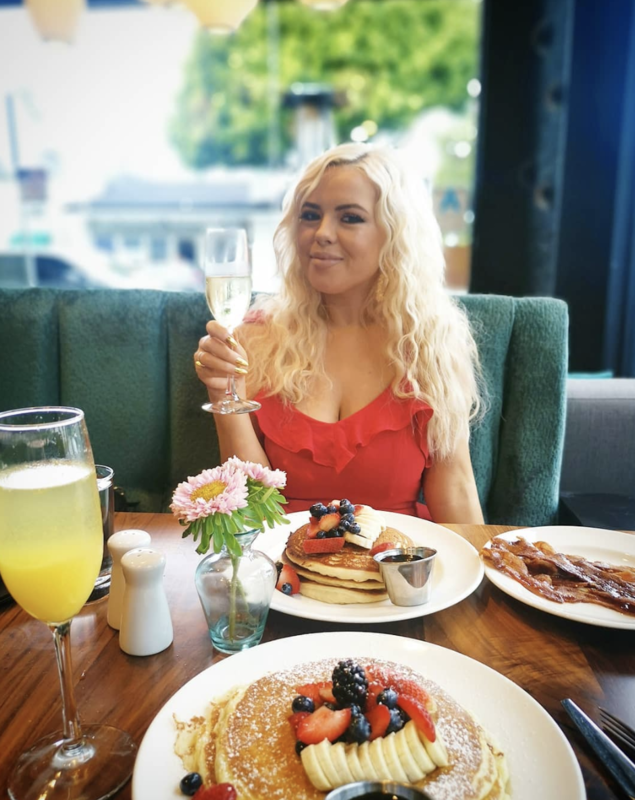 You can treat yourself to yummy mimosas and an extensive brunch menu (of course I went for the pancakes). It’s slightly back from the promenade so it’s nice and chill, but you can walk down to the beach quickly if you feel like it. Especially if you’re staying at the Wyndham, you are right by a big shopping district. 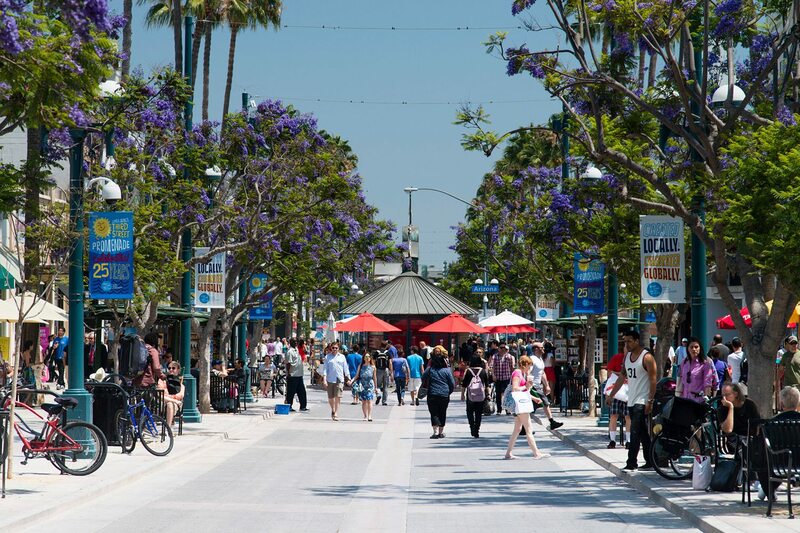 Just off 3rd street promenade, you will find Victoria’s Secret, Abercrombie & Fitch, Sephora and I’d recommend Barney’s Beanery for a drink and some food. It’s a very cool sports bar with pool tables and a really good menu. Last but not least, you can’t stay in SM and not witness a glorious sunset. Dozens of people head down under the pier to see the sun go down, and it is breathtaking. It’s a nice way to end the trip, and you’ll get some stunning pictures too.